Hey! I told you that I went for a sleepover camp at Jurong Bird Park on one of the Fridays in December. Yes, pitching of tents for a night inside the park. However, don’t assume that it will surely an outdoor camping. Sad to say, it was not! 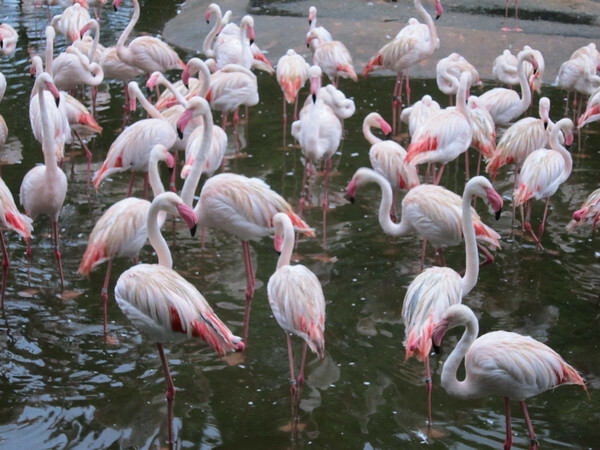 We camped IN a air-conditioned function room by the flamingo lake. 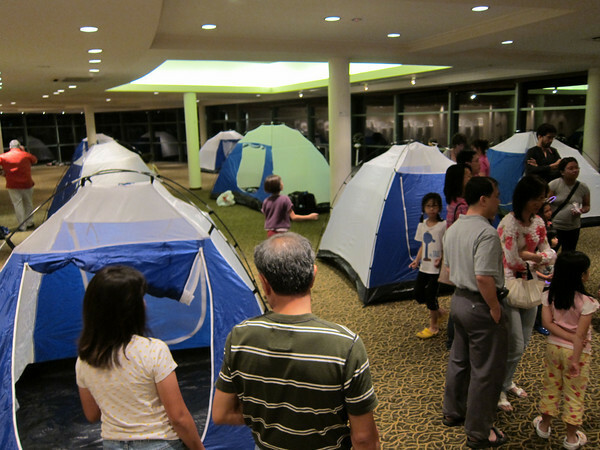 That’s the camping experience for our precious Singapore children! Wahaha..
Actually, I personally find it not a bad idea with an indoor camping as there will be no mosquito bite, need not to feel hot in the sleep.. All we had is cooling air in the tent in that ‘snory night’..
Just to share some photos with you here.. If you wish to see more photos of my camping and special visit events, simply log on to my FaceBook My Wok Life Fan Club which I have posted many more photos since yesterday (first-hand updates for my fans)! tks for sharing the overnight camp-in + wonderful photots! I was wondering if there’s any camping in SG as me and family did a campout in canada while we were there for a while. 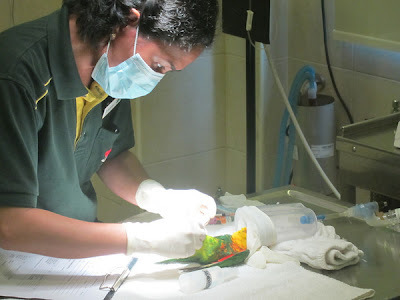 Will definitly visit Jurong Bird park’s website! If u are keen, take a look at my post on our campout experience!